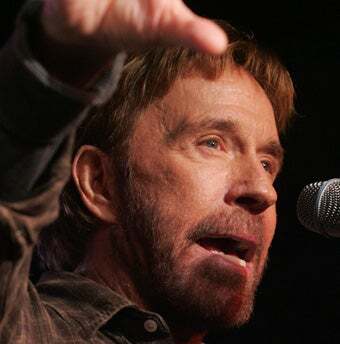 Today, Gawker's Alex Pareene and I mourn the passing of American action star Chuck Norris's brain, which has been infected with and ravaged by a scary sickness. R.I.P. Chuck! In happier news: Did we mention it's President Obama's birthday today?